Our list of the top 5 best Roombas for pet hair includes vacuums from all tiers of the Roomba family tree, each offering a different balance of affordability and performance. I’ve evaluated iRobot Roombas from the 600, 800, 900, i7, and e series to determine which models have the suction power, longevity, and reliable performance to effectively clean up pet hair. 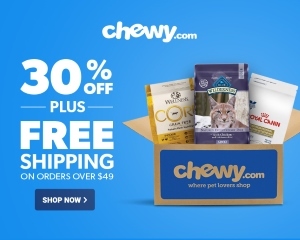 Thanks to a great navigational system, powerful suction on all floor types, and tangle-free rollers, the Roomba 980 stands out as the overall best Roomba for pet hair. If your pet has long hair, choose a Roomba from the 800 series or higher. In contrast to the tangle-prone brush rollers found in vacuums from earlier series, these have dual rubber rollers. iRobot keeps their suction stats proprietary. Instead of releasing air watt statistics, the company rates all models against the 600 series. Some models are 5x more powerful, while our top pick offers 10x the suction power offered by vacuums in the 600 series. 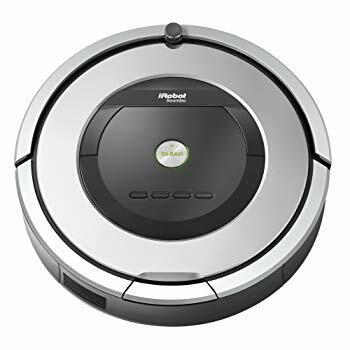 It’s also important to note that Roombas from the 800 series and above bring the suction closer to the floor and have greater cleaning ability. If you have a large house and a Roomba that lasts for just 60 minutes, you’ll probably have to rescue a stranded robot once or twice. Battery life is less of a problem for members of the 900 series and above, which have the recharge and resume function. They’ll stop cleaning when they get tired, head back to juice up at the charging station, then return to the place where they left off. 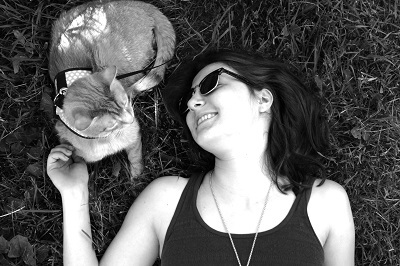 Pet hair takes up a lot of space. To ensure that you’ll go at least a day between emptying out the robot, look for units that can contain at least 300ml of dirt and hair. $804.99, the Roomba 980 boasts a variety of features and strengths not found in earlier or cheaper models. Like all the models in the 900 series, the Roomba 980 has an updated navigational system. It uses visual simultaneous localization and mapping to understand the floorplan, making a mental map of your home. While the previous series took a drunken sailor approach to cleaning, these Roombas are smart and efficient. Granted, the camera system might be a little bit too smart for your taste, and if you’re worried about privacy, another model is probably a better choice. The Roomba 980 has surface-aware suction, which allows it to amp up the power where it’s needed most. When the 980 detects carpet, it automatically increases air power up to 10x. This makes it a good choice for people with multiple flooring types, thick rugs, and serious pet hair and dirt. Like all Roombas from the 800 series and up, this vacuum has two rubber rollers, which dig deep into the carpet to loosen hair cat litter, and dirt. These rubber rollers are perfect for households that include long-haired pets. $499.00—cheaper than the swankiest models, but not exactly a steal. For $200 less than our top pick, what are the key differences between the Roomba 960 and the 980? First of all, the Roomba 960 is slightly less powerful than the 980. It uses the same motor found in the 800 series. Its AeroForce 3-Stage Cleaning System is only 5x that of the 600 series, while the 980 offers 10x power. It doesn’t have surface-aware suction, so you won’t get any extra oomph on carpeted floors. At 75 minutes, its battery life is almost half that offered by the 980. Fortunately, it will automatically charge up and return to the place where it left off, so you don’t have to worry about the vacuum dying before a job is complete. When it comes to navigation, the 960 does just as well as others in the series. Instead of erratically sliding and bumping around the house, it uses an upgraded navigation system to clean efficiently. It doesn’t have the sleek styling or navigational skills of Roombas in the 900 series and above, but the 890 is just powerful enough to get the job done if you have a relatively small home with low pile carpets or hardwood floors. 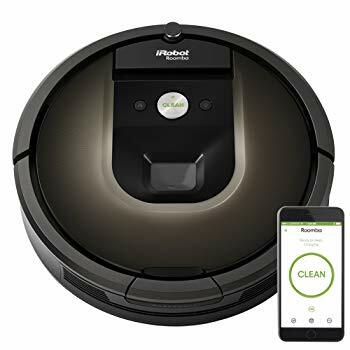 The Roomba 890 has the standard modern features, like WiFi connectivity for easy scheduling, smart home voice control, and Roomba’s patented dirt detectors, which increase power in concentrated dirt zones. The 890 will run for about 90 minutes before it needs to charge. It will glide back to the charging base and recharge, but it won’t start up where it left off. This means that this model is best for smaller homes. The Roomba 890 does a great job of cleaning low pile carpets and hardwood floors but struggles on high pile carpets and rugs. If you have a lot of thick carpets or rugs in your home, you might need a more powerful vacuum. It has rubber cleaning brushes, so it’s a competent match for long pet hair. $399.00, which is about average among robot vacuums. 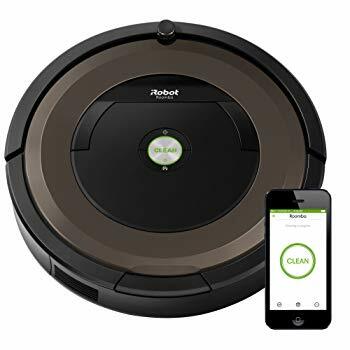 $279.00, this Roomba is the one to buy if you’re on a relatively tight budget. 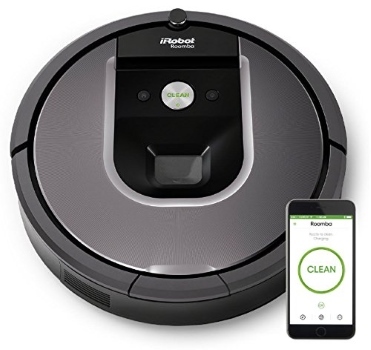 It has almost all of the feature’s you’d expect out of a modern Roomba, like WiFi integration, compatibility with smart home devices, dirt detectors that make the vacuum work harder in heavy filth zones, and automatic docking and recharging. Note that, like the 890, this vacuum won’t pick up where it left off after charging. With a healthy 90 minute run time, this shouldn’t be a serious problem. Like all members of the 600 series, the Roomba 690 has brush rollers rather than rubber agitators. The bristle brushes could be a problem if your pets have long hair. The Roomba 690 has a few shortcomings. For example, its cliff sensors aren’t the brightest. This Roomba often mistakes dark carpets for cliffs, so you might notice it refusing to vacuum a dark blue or brown rug. Because the Roomba 690 operates with the company’s older navigational system, it slides around the house in an erratic, inefficient pattern. 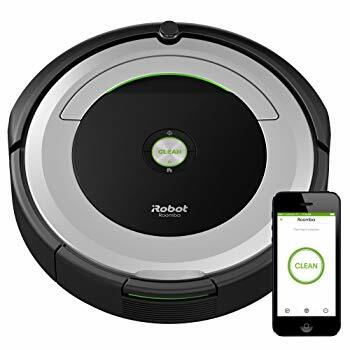 If you want the performance of a contemporary Roomba but don’t have any interest in a smartphone app or voice control, you might consider the 860 vacuum. It shares the motor and navigational system embedded in all members of the 800 series but lacks WiFi connectivity. This means that you can’t schedule cleanings remotely or view cleaning maps on your smartphone. It has iAdapt navigation, which isn’t iRobot’s smartest navigational system. Like other members of the 800 series, it tends to bump its way around the house in a semi-erratic pattern. It offers 5x the suction power provided by units in the 600 series. Like most new Roomba models, it uses optical and acoustic sensors to detect concentrated patches of dirt. This model is ideal for smaller homes. It has a battery life of just 60 minutes, and while it will automatically recharge, the robot won’t go back to the place where it left off. Compared to models from previous generations, the 860 is much better at navigating to the docking station and seldom gets lost on the way. The Roomba 860 has rubber agitators, bringing the suction close to the floor and avoiding tangles. It costs $399.00, placing it in the middle of the robot vacuum price spectrum. Top 5 best Robot vacuums for pet hair.